This photo workshop covers some of our favorite areas in the Southwest, the Arizona Strip and Southern Utah. We will depart Flagstaff, Arizona and work our way north to Zion National Park, Utah. Along the way we will visit ancient Native American ruins; travel through the Navajo Reservation; float the Colorado River; take in the majestic Grand Canyon; and wind our way through one of the most geological diverse parks in Utah, Zion National Park. This photographic workshop offers the participant hands-on-instruction in the field, while photographing extraordinary locations. Lectures will be given and critiques will happen each day after shooting. Please scroll to bottom of page for a gallery of student work from 2014. Transportation during workshop, accommodations during workshop, breakfast, Park fees, early morning and mid day snacks, water. Lunch ,dinner and alcohol are the responsibility of the guests unless specified. Some days lunch is provided if we are out in the field and not near a town. Flights to and from Arizona and any shuttle costs or car rental fees before and after the workshop are the responsibility of the participants. Using Arizona Shuttle to get from Phoenix to Flagstaff, or get a connecting flight from Phoenix to Flagstaff. There is flight from Phoenix to Flagstaff and it is only 30 minutes, the shuttle takes about 2 and half hours. We have great suggestions for lodging/dining in Flagstaff, after all this is our hometown. We recommend that you come a couple days early to Flagstaff to get used to the high elevation and arid climate of the Southwest. This gives you time to acclimatize to the altitude and experience one of the best towns in Arizona. If you would like to extend your stay in Arizona and Utah we recommend that you make reservations for hotel and car rental in Page Arizona and continue you journey from there. 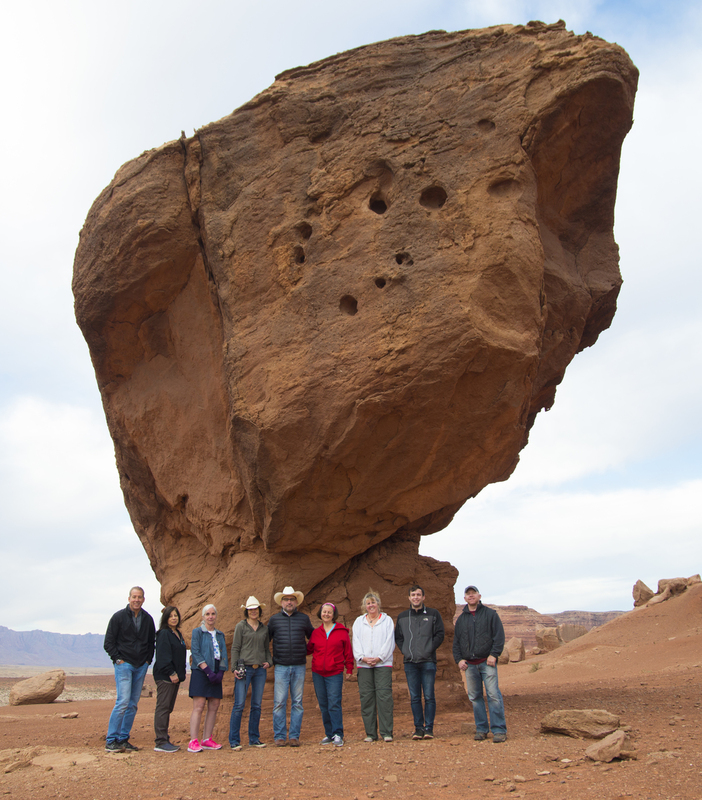 We can drop participants in Page, Arizona. It is ideally situated for further exploration of the Lake Powell area and Canyon Lands of Utah. We will be making the return trip to Flagstaff where you can also rent a car and keep exploring the wonders of Arizona, such as the painted dessert and then on into the four corners area. Please let us know and we can suggest extension trips to explore on your own. We recommend one change of clothes and the rest can be camera equipment…just kidding. However, three pieces of luggage is acceptable, one camera backpack with tripod sling, a second pack for computer, cords, batteries etc., and one duffle bag for clothes and stuff. Maximum size for luggage is 36”l x20”w x20”w and must be soft sided. We will have enough room between two vehicles for 10 participants and their luggage if everyone adheres to the guidelines. No roller bags allowed unless it is your camera bag. No large roller luggage bags accepted. If you do not meet the luggage requirements, you will be given a duffle that does. Whatever you can fit in the duffle you may take on trip. All excess luggage and any roller bag will be left in Flagstaff at the studio to be picked up on our return. Camera equipment that we recommend is a wide to medium zoom and then a medium to telephoto both of these can be used with great effect for scenic photography. If you have a lightweight super telephoto we recommend this as a wildlife and bird lens, and of course bring along a sturdy tripod. Please bring your Polarizing filters and your graduated ND filters also. After signing up we will send out our suggested list of photographic gear to pack. Depart Flagstaff at 8:00 am and make the scenic drive through the largest stand of Ponderosa Pines in the world and slowly drop into the high desert of Pinon Pine and Cedars. We will visit Wapatki National Monument and see the remnants of Native American settlements from the 1100 AD. We will continue on our journey through the Navajo Reservation and drop in elevation to the desert floor some 3000 ft. The terrain changes dramatically and the skies open up to those famous vistas with thunderhead clouds. We will stop at Cameron Trading Post for lunch, which was built in 1911 by the Richardson brothers to barter for wool, blankets, dry goods and livestock from the Hopi and Navajos of the area. This is one of the best places to buy Native American art in Northern Arizona. After lunch we will continue through the Arizona Gap and make our way to Page, Arizona. We will settle into our accommodations on the edge of the lake and you have the whole evening to photograph Lake Powell. We will rise early and after breakfast head to Antelope Canyon Region. It has some of the most unique sandstone slot canyons in the world. Lunch will be provided today. Once out of the canyon we will then make our way to the Colorado River’s edge to view the famed Horseshoe Bend for sunset shots. This requires a short but modestly strenuous hike to the 1000 foot ledge. There is no railing at the canyon's edge. This is not for the faint of heart. We will shoot the sunset here and then head back to Page for a nice dinner. Today we will head to the base of the Glen Canyon Dam and board a raft to float down the Colorado River to Lee’s Ferry. The trip is nearly four hours of filled with amazing views, it will simply astounding. Remember to take photographs of the 800 ft. red rock cliff walls that soar up from the river. Lunch will be alfresco on the river. We will end our raft journey at the infamous Lee’s Ferry; historically it was the only place to cross the river by ferry within 700 miles. From here we will travel to Navajo Bridge and view the river from above. We will proceed to Lee's Ferry Lodge adjacent to the famed Vermillion Cliffs and get settled in. Sunset light on Echo cliffs is in store for more photographic opportunities. This day will start with an early sunrise shot of Pedestal rocks. After the shoot we will return to the Lodge for breakfast and then depart for the Grand Canyon. We will drive and rise some 4000 ft. in elevation from the desert floor. We will leave Sagebrush behind and travel through thick forests of Ponderosa and Aspen trees on our way to the canyon’s edge. Point Imperial is famous for the light in the morning, which is perfect for us photographers. After photographing and hiking around we will have lunch at the Lodge on the Canyons edge. Today we have plenty of time to explore the famous lodge and walk along the edge of the canyon for more great photographs. Buffalo, deer and Antelope are in the Park so make sure you can access your telephotos quickly. Once you are settled in your rooms you have free time to shoot the sunset before Dinner. The lodge has some of the most beautiful vistas in Arizona. We will be having dinner and staying at the Lodge in the Park for tonight. We can take our time today, and have an early breakfast and hit the road. We will continue to photograph on our way out of the park. There are some beautiful stands of Pine and Aspen that would be a great subject for you black and white photographers. Next we drop off the rim to the valley below and make our way to Kanab, Utah. Kanab is quaint, small and is our jump off point to Zion. We will stop for lunch here and you may have time to explore the small city. Your favorite Western Movie was most likely filmed near Kanab. Over two hundred films have been made in Kanab over the years, from Westerns to Planet of the Apes. There is a great Hollywood Museum, camera store and galleries to explore. After lunch we continue on into Zion national park and check in at the Lodge. Today after breakfast we will explore Zion National Park. "Follow the paths where ancient native people and pioneers walked. Gaze up at massive sandstone cliffs of cream, pink, and red that soar into a brilliant blue sky. Experience wilderness in a narrow slot canyon. Zion’s unique array of plants and animals will enchant you as you absorb the rich history of the past and enjoy the excitement of present day adventures." Zion is the most diverse park of the southwest with a total drop in elevation of 3000 feet. It has sandstone formations and scrub brush to Pine trees and creeks at the higher elevations. We can take a short hike up the Zion Narrows into one of the best canyons in the Park. Along the way through the upper east Canyon are some of the best slick rock sandstone formations in the southwest. Lunch will be in Park. We will have ample opportunity to photograph in morning light and right into the evening hours. After sunset we will head back to the lodge for our a celebratory dinner together. Zion is very unique compared with the Grand Canyon. Instead of photos from the rim looking into the canyon we are staying at the bottom of the canyon and photographing up. The lodge is situated near the virgin river and has a view up at the sheer thousand foot cliffs that are quite breathtaking. Today we will continue to explore Zion National Park. This park is so large and diverse that we have many opportunities to hike the famed Narrows slot canyon and explore the virgin river. 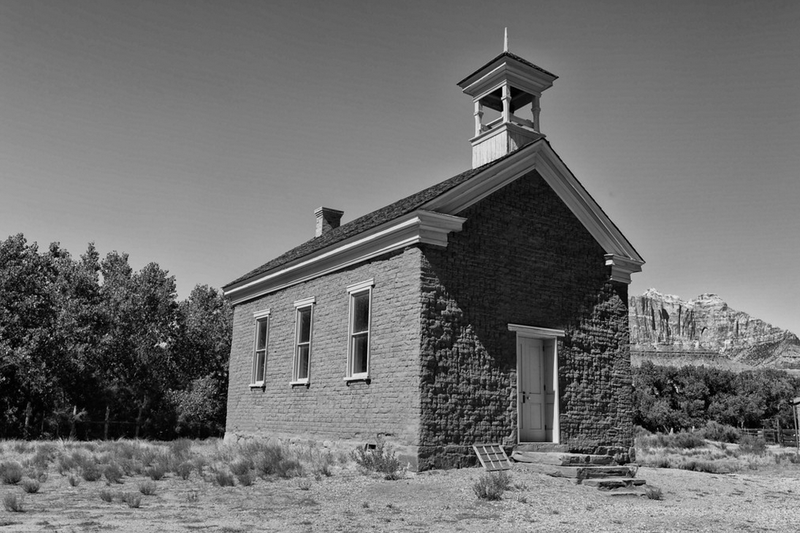 We could even visit a small ghost town and cemetery where early white settlers clashed with native americans. Dinner and breakfast will be at the Lodge. This is our last day, so we will rise early to take advantage of the golden morning light for photographs as we work our way back to Flagstaff. 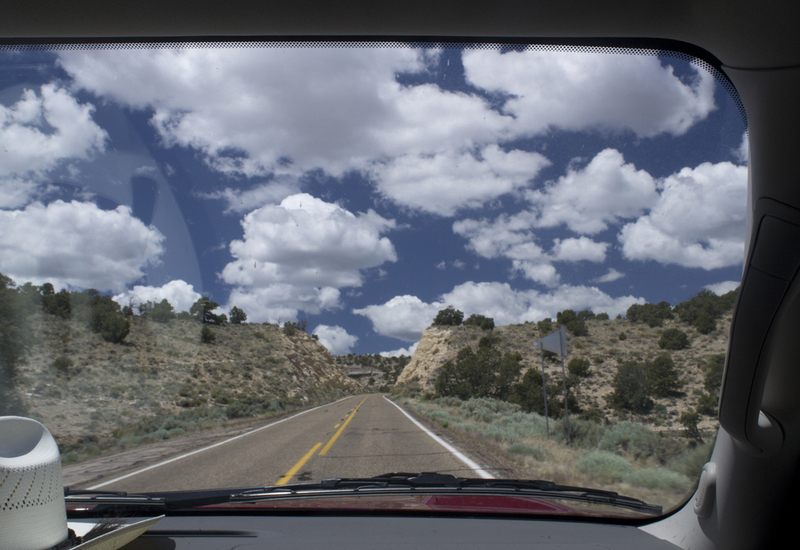 If you so desire you can be dropped off in Kanab to continue touring the southwest. You can stay in Page or Wahweep Marina on a houseboat, or rent a car and keep exploring the sites around Arizona and Utah. We can stop along the way to photograph our last vistas of mesas and thunderhead clouds. Lunch will be at Cameron Trading Post. We will arrive in Flagstaff in the late afternoon and will drop everyone off at the bed and breakfast or hotel of their choosing. Click on photos below to see images from our 2014 trip!